Lagafors Marine is the innovative cleaning system adapted for the marine industry. All the technology in the marine industry requires unique and customized solutions. Lagafors Marine does just that to ensure the highest efficiency and reliability on ships and platforms in demand of high capacity cleaning solutions. 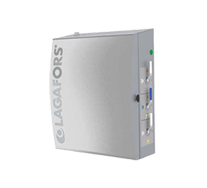 Lagafors® MWP 80250 R is a horizontally mounted centrifugal pump with air cooled engine, including frequency converter and electrical cabinet with PLC-control. 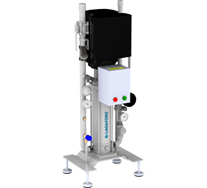 The pump is mounted on a stainless steel frame and is equipped with pressure dampers. 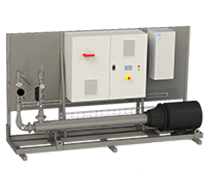 The Lagafors® LWP 10 CB low-pressure centre (Low Water Pressure, Combi Booster) is designed for cleaning with pressurized water as well as chemical and disinfectant solutions. 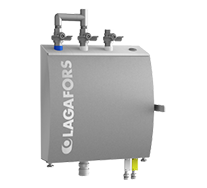 Lagafors® LWP 40 (Low Water Pressure, Stationary Booster), is designed for cleaning with pressurized water and it is to be connected to a number of Lagafors Variable Media Satellites (VMS II). 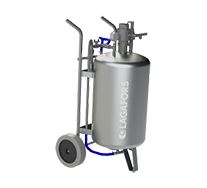 The Lagafors® Low Pressure Injector, or CDE II (Chemical dosing equipment), is a functional, low-cost unit for flushing with water and application of foam/chemical solutions. The mobile foam unit MFU 75 from Lagafors® is used for the application of chemical and disinfectant solutions in powder or liquid format. The dosing is done manually directly into the tank, only pressurized air must then be added. Cleaning Innovation manages the demands for a less resource in terms of water , chemicals, materials - while making it clean from dirt , allergens and microorganisms. Turning to companies that have a product or a new idea and even to food manufacturers who want to improve their cleaning and disinfection. 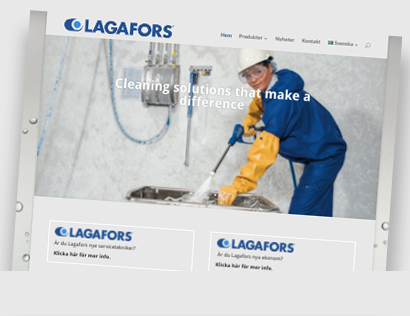 Lagafors delivers complete hygiene solutions, ranging from stationary and mobile cleaning systems to dishwashers and accessories. Our competence spans from manufacturing and installation of individual components to concept, solution and design of large, centralized cleaning systems.